One million dollars (Dh3.67 million) can buy you almost nine and seven times more space than Monaco and London, a Knight Frank report reveals. In a statement sent to Emirates 24|7, the UK-based consultancy revealed that $1 million (Dh3.67 million) can buy 155 square metres of prime property in Dubai compared to only 17 square metres in Monaco and 21 square metres in London. With $1 million, a property buyer can get only 20 square metres in Hong Kong and 39 square metres in Singapore. An investor can get 41 square metres in Sydney, 50 square metres in Paris, 79 square metres in Moscow, 48 square metres in Shanghai and 96 square metres in Mumbai. Among the list of 20 cities surveyed, Dubai is placed 19th with Cape Town taking the last slot, where a $1 million buys 284 square metres of prime property. 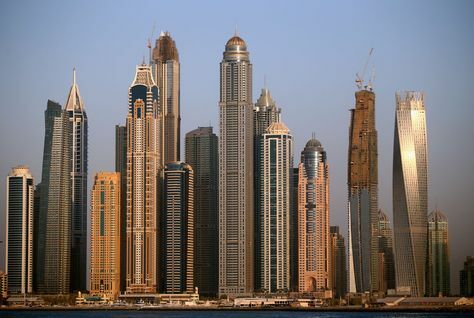 Dubai is also one of the most affordable cities to buy real estate with Vancouver topped the chart of the highest hikes seen in 2015 with 24.5 per cent followed by Sydney and Shanghai with 14.8 per cent and 14.1 per cent, respectively. The emirate, however, slipped 5.5 per cent, ranked 96th among the 100 cities tracked by Knight Frank. Abu Dhabi was ranked 75th, with prices declining 2 per cent. In March 2016, this website reported, quoting the consultancy’s Wealth Report 2016, that Dubai had beaten Shanghai, Paris and Sydney to take the fifth spot on the list of top 10 most important city for the Ultra High Net Worth Individuals (people with over $30 million excluding their primary residence). Placed at the eight position in 2015, the emirate has risen two ranks to the sixth position, being one of the best-connected cities in the world.